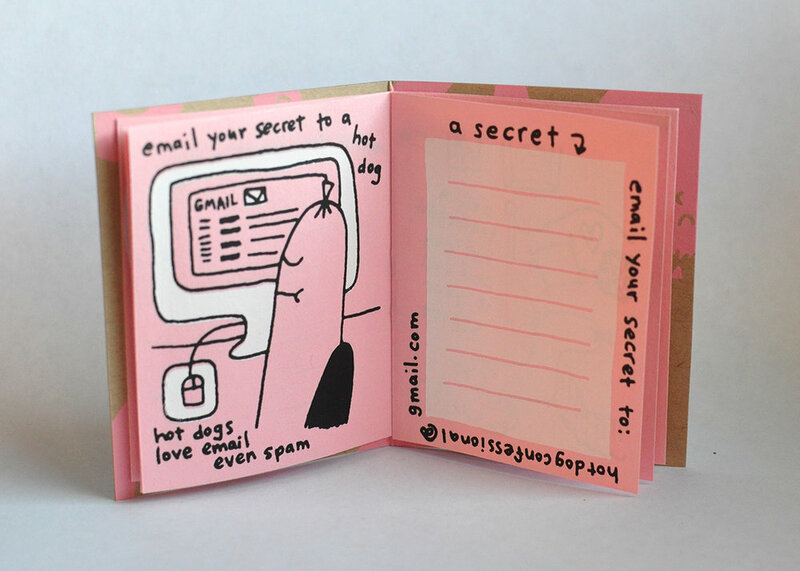 A zine that answers some of life's important questions: do hot dogs like email? 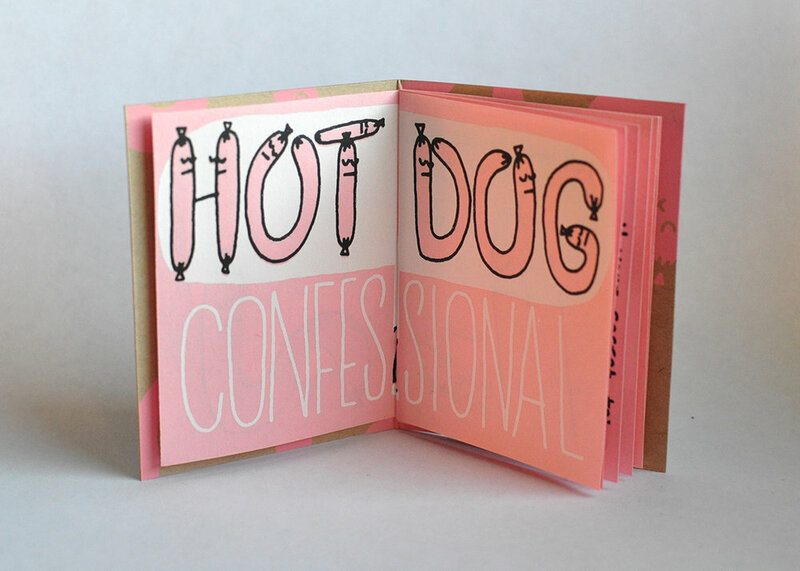 can a hot dog be a priest? what are hot dogs made of? Small 2" x 3" zine screen printed by me on French Paper. Open edition.